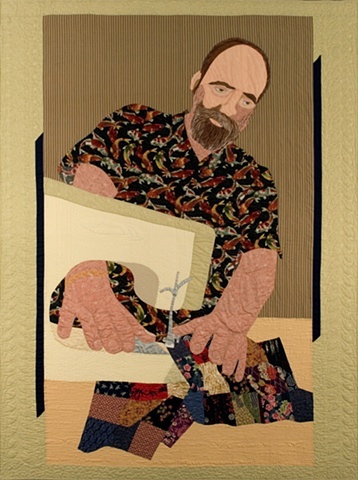 The Burly Quilter is my husband, Leroy. He is shown making the quilt that was on our bed for several years. This is the first portrait in fabric that I attempted and is still a favorite.